My wife and I were talking the other day about all the concerts we went to see at the Music Mill back in the day so I got curious and checked the website for concert events--nada. What happened? I can understand not booking The Stones or Rush but surely there are some lower tier acts that could still draw crowds. I mean, the North Texas State Fair in Denton is featuring Ronnie Milsap and Charlie Daniels on two consecutive weekends. Granted, they don't draw like they used to but they probably work cheap and I guarantee the fairground will be packed with people who came out just to see them. Would not the same concept work at the Park? I would say one of the biggest issues is that it's an outdated, awful venue for a concert. Hot, little shade, all concrete, aluminum benches, no amenities, lots of background noise, poor acoustics. There are a lot of other venues in the DFW area that offer a much better experience: Gexa, Verizon (the best place in the area for a show and none of the others come close), Southside Ballroom, the arenas in Richardson and Allen, the soccer stadium in Frisco, the AAC, Fort Worth has a 14000 seat arena opening in 4 years. I would even go so far as to say that Levitt Pavilion in downtown Arlington is far superior to Music Mill. Those throwback artists are cheap, but they also don't make you a lot of money because they typically don't draw huge crowds unless there's something else significant to offer. Most of the fans going to the North Texas State Fair would go regardless of the musical acts. And with your Rush mention, we now only need a railroad related post to make this an official thread. I would say one of the biggest issues is that it's an outdated, awful venue for a concert. Hot, little shade, all concrete, aluminum benches, no amenities, lots of background noise, poor acoustics. Okay, other than that, I don't see a problem. WELL WELL WELL,,, Folks would use the steam train to go from Boomtown to Johnson Creek to get to the concerts and visa versa because they think the front gate is closer from Boomtown than Johnson Creek, even though they are the same distance, as the crow flys. We would sometimes have to suspend train operations or at least blow a "quiet" whistle at Shockwave because of those concerts. They should tear it down and build a steam train museum or a "Train Super Station"!! I really enjoyed the Cirque du Soleil show they had a couple of years ago. It would be nice if they could stage something similar. And, in keeping with the thread rule, I'd be happy to ride the train to and from the show. I do remember that there were a number of concerts that year...guess the booking agents aren't as prolific as they used to be? or artists cost more !!! Yeah, lots of 2nd and 3rd-tier older acts that are a bit less in demand and willing to perform wherever they can find a gig (still not as bad as Spinal Tap....yet). I used to perform at state and county fairs across the country and would run into those acts in the backstage areas. Usually you would see current country bands, and then older rock acts milking every dollar so they can pay the bills ---- Steppenwolf, Foghat, Rick Springfield, .38 Special, etc. And honestly, I doubt they would draw much of a crowd at a theme park full of youngsters at this point in their career. 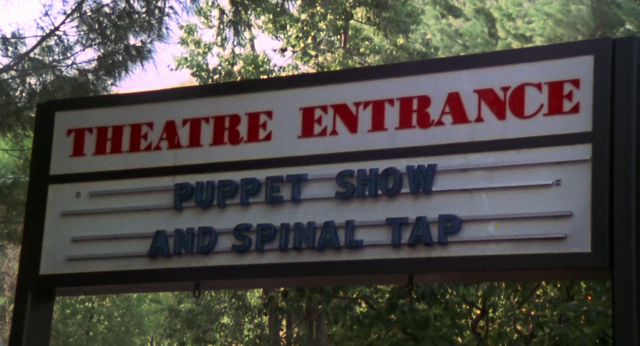 "If I told them once, I told them a hundred times ---- put Spinal Tap first, Puppet Show last!" Oh, I don't know...they are in the Rock and Roll Hall of Fame. Maybe they could book The Bay City Rollers as a backup.